How long does a product last? This question not only concerns consumers when the car does not work in the morning on its way to work because the diesel filter is clogged by deposits of oxidized biodiesel. The manufacturing industry, in particular, is interested in information on shelf life and is legally obliged to provide such information. The new RapidOxy 100 Fuel is a great helper when it comes to determining the durability of fuels. 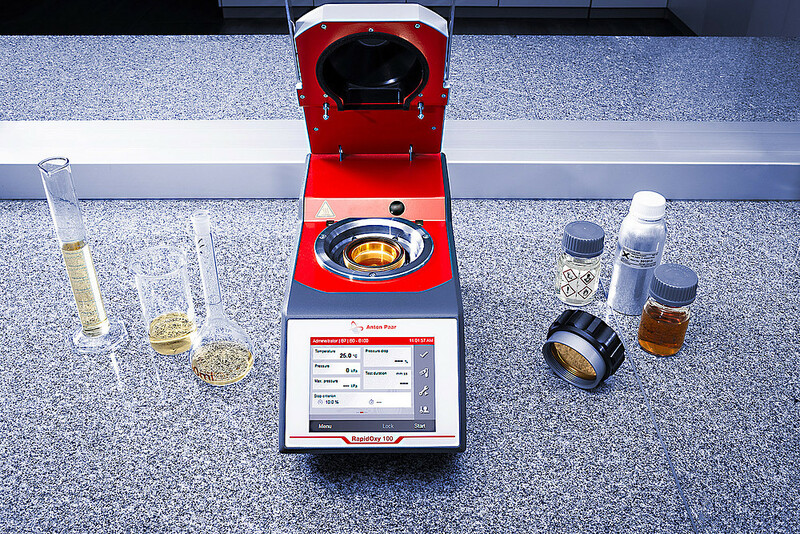 The new instrument measures the oxidation stability of substances. Spoilage is usually nothing more than oxidation, i.e., the modification of molecules by the binding of oxygen out of the air. What enables humans to live affects many products during storage in a negative sense; with consequences for quality, properties, or even performance. The oxidation of fuels can ultimately lead to rust or deposits in the tank or engine and reduce service life. The RapidOxy 100 Fuel measures this oxidation process of various fuels in accelerated form. "If you add a small amount of fluid to the sample chamber and start the measurement, the instrument will add an exact amount of pure oxygen, increase the pressure to up to 700 kPa and heat the sample chamber up to 180 °C," explains Anton Paar's product manager Carolin Edinger. If oxygen is absorbed, the pressure in the chamber drops. On the large touch screen, the handy device of just 40x20 cm in size and weighing nine kilograms provides information on the durability of the product via the time for the pressure drop and the magnitude of the pressure drop itself. The instrument can be connected to a PC with an evaluation program via a LAN connection. 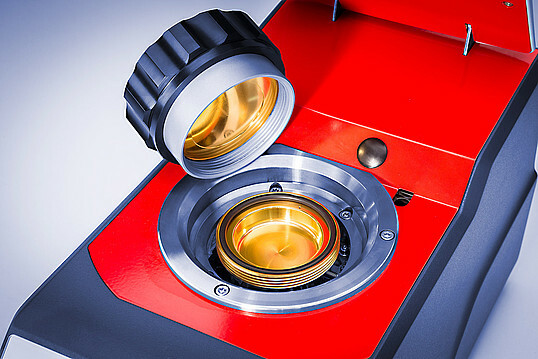 "The RapidOxy 100 Fuel is equipped with an aluminum sample chamber coated with gold. This makes the chamber ideal for testing products such as petrol, diesel, or biodiesel," says Dunja Pütz, technical editor at Anton Paar. For example, the instrument is used to investigate how additives such as antioxidants or ignition improvers affect the durability of fuels. Standard measurement methods according to ASTM or EN are integrated into the instrument. So anyone storing fuels for various vehicles or lawn mowers at home could use this instrument to make valuable statements about the further durability or the current condition. The device is available for about 22,000 Euro.